Due to the countless variables that affect revenue and cost, the hospital reimbursement process is by far the most complex of any industry. 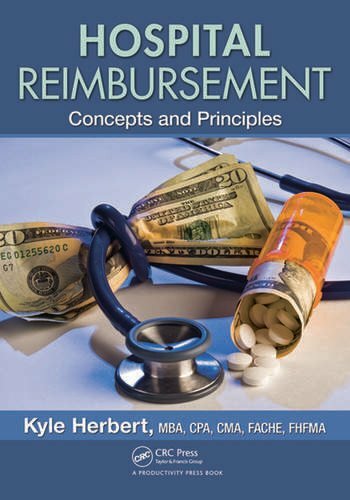 Requiring only a basic financial background and a working knowledge of accounting, Hospital Reimbursement: Concepts and Principles supplies a clear understanding of the concepts and principles that drive the revenue cycle within a hospital setting. 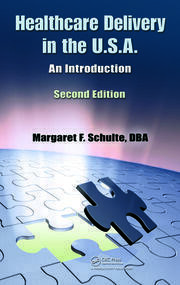 Supplying readers with a foundation in coding principles, the text also includes a model for calculating the financial impact of variations in patient length of stay. 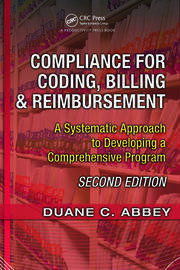 It discusses the DRG and APC reimbursement models and details the computation of an outlier payment. 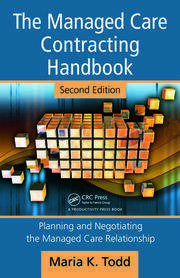 In addition, it walks the reader step-by-step through the creation of a mock Medicare cost report for a sample hospital. Kyle Herbert has over 18 years of healthcare accounting experience, and he is licensed as both a CPA (certified public accountant) and a CMA (certified management accountant). Kyle is a received his undergraduate degree from the University of Richmond and his master’s degree in business administration from The Citadel. In addition to these academic achievements, Kyle attained fellowships with both the Healthcare Financial Management Association and the American College of Healthcare Executives. Kyle is a member of the American Institute of Certified Public Accountants, the Institute of Management Accountants, the South Carolina Society of Accountants, and the South Carolina Association of CPAs. Mr. Herbert is also a Fulbright Scholar who was a visiting professor in Bangkok, Thailand.